Over time, tile floors lose their luster; grout becomes dark and grungy-looking, and sometimes it seems like getting it back to normal is a lost cause. Fortunately, KIWI’s Fort Worth tile and grout cleaning professionals can do in minutes what takes most people hours. We have remarkable commercial-grade cleaning solutions, buffers and polishers that can lift dirt and grime that won’t come out with ordinary scrubbing. KIWI’s technicians can also treat mold and mildew with our cleaning method and cleaning process, as well as provide high-quality cleaning on different types of tile surfaces including natural stone tile, limestone, and other tile floor types. 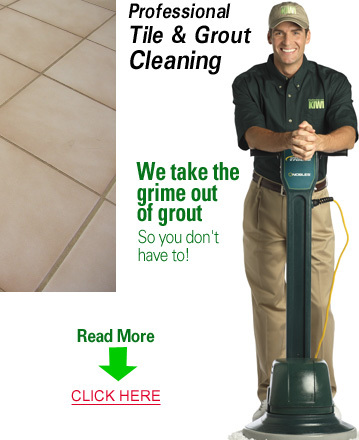 We also offer an extensive grout cleaning process that can renew grout lines as we scrub the grout using our unique cleaning solutions that will provide the best cleaning results. KIWI has been in business for 30 years, and in that time, we’ve helped thousands of Fort Worth homeowners get their tile and grout spotlessly clean. We specialize in scrubbing hard-to-reach-places in kitchens and bathrooms; we can even remove soot and ash from the tiles around your fireplace, as well as outdoor dirt that’s gotten ground into the tiles around your pool or outdoor children’s play area. Remove all stains: We work with specially formulated, commercial-grade cleaners that deep-clean your tile and grout and lift up stains, pulling out the microscopic particulates that cause them. Scrub tile on floors and walls: Our commercial-grade cleaning machines feature bonnets and brushes, and they’re made just for tile. Use a steady abrasion technique: Our steady abrasion technique lifts up grit and other particles that make your floors look old, tired and worn. Sweep and vacuum: We’ll sweep and vacuum to ensure that your tile looks like brand new again. 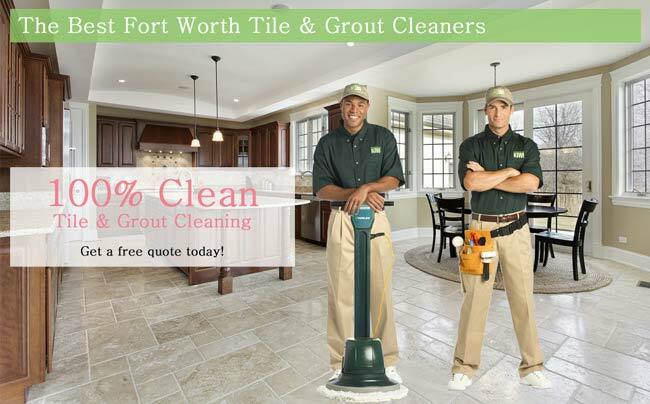 Call KIWI today at 817-585-5976 to set up your Fort Worth tile and grout cleaning appointment. You’ll be amazed at what we can do. KIWI also offers combined services such as floor and rug cleaning and tile and carpet cleaning as well as free estimates, floor maintenance, and sealing services. We also offer the best in customer service with our 30-day clean guarantee where we guarantee to come back out if you are unhappy with any part of your service. KIWI also offers commercial cleaning for your business needs.